Burnhamthorpe Dental is conveniently located in Etobicoke at 666 Burnhamthorpe Road inside Burnhamthorpe Mall and is wheel chair accessible. 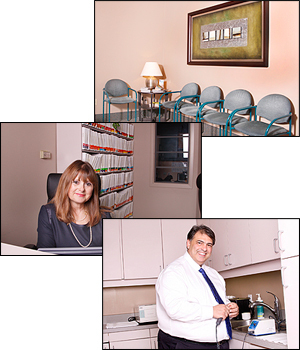 We provide family dentistry, cosmetic dentistry, and preventive dentistry to patients in the Etobicoke area. Our caring, friendly staff would be pleased to welcome you to our family dental office. If you would like to visit our office for a consultation in cosmetic dentistry or preventive dentistry, new patient visit or if you have an oral health related question, please feel free to call us today!